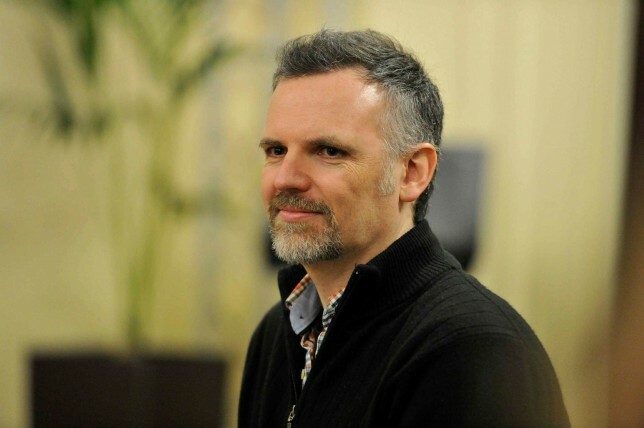 Sacred Music Radio was delighted to interview the well-known composer Ciaran Hope, creator of the music for the Hollywood film "The Letters" which was based on the life of Mother Teresa of Calcutta. Ciarán spent a year working on the music, which was recorded with the Macedonian Radio Symphonic Orchestra in Mother Teresa's hometown of Skopje Macedonia and the New Dublin Voices Choir in her spiritual birthplace of Dublin Ireland. Sony Classical released the soundtrack album in 2016. Born and raised in Ireland, Ciaran was already reading music at the age of three before he was reading English, later studying composition at the DIT Conservatory of Music and at the Prague Conservatory before attending the UCLA film-scoring programme on a Fulbright Scholarship. Ciaran is also a graduate of BMI's prestigious Conducting Workshop, where a select group of just eight composers out of their 400,000 are chosen to spend two weeks working intensely with a conductor and live musicians at the musicians union in Los Angeles. His music has been the recipient of several awards such as the IMRO prize at the RTE Musician of the Future in Ireland, the International Solstice Composition Prize, a National Training Commission for Film and Television Bursary and an Arts Council of Ireland Postgraduate Award. His music was a finalist at the 2012 Park City Film Music Festival, the International Clarinet Association Composition Contest and the International Song for Peace Contest. He was a member of the orchestrating team on the score of the feature film The Insider, which was nominated for a Golden Globe Award.